CHICAGO (WLS) -- ABC 7's HEART and SOUL, a series of specials that taps into Chicago's vibrant African American community, airs Saturday, January 27, 2018 at 6:00 p.m. with a rebroadcast on Saturday, February 3, 2018 at 4:30 p.m. 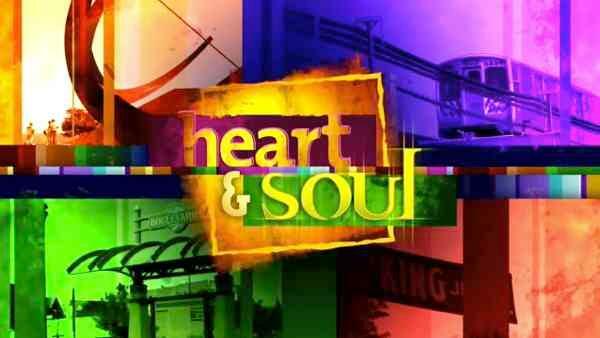 This edition of Heart & Soul is hosted by Hosea Sanders and Cheryl Burton with contributing reports from ABC7s Jim Rose and Karen Jordan along with Windy City LIVE's Val Warner. Located in Chicago's vibrant Bronzeville neighborhood is Blanc gallery. This art gallery and multipurpose facility curates artist exhibitions several times a year. In 2015, Chef Cliff Rome started "Before the Plate" as a way to help students interested in pursuing a career in the culinary and hospitality industries. Chicago police officer Jennifer Maddox vowed that she would "protect and serve," and she extended that vow to area children. Millie Cruzat has been captivating people all of her life with her tenacious attitude, delightful spirit and ability to dance. At just 19 years old, Eva Lewis has organized a protest, delivered a powerful and unapologetic ted teen talk, all while maintaining a 3.5 G.P.A. At the University of Penn. Chicago native Jermaine Anderson helps young men become gentlemen. HEART & SOUL is produced by Rubye Wilson Lane.